Fairbanks Princess Riverside Lodge – Fly into Fairbanks, Alaska’s “Golden Heart City” and second-largest community. Several rental companies provide vehicles from the airport, along with directions to the city’s most notable attractions. On the banks of the nearby Chena River, the Fairbanks Princess Riverside Lodge offers a tranquil setting with numerous amenities and two restaurants. Chena River, which connects to the Tanana River, is home to the Riverboat Discovery Tour, a sternwheeler boat that guides guests along both rivers in Interior Alaska to visit Iditarod winner Susan Butcher’s home, followed by a cultural tour of the Chena Indian Village. Denali Princess Wilderness Lodge – Journey two hours south from Fairbanks on the George Parks Highway to Denali National Park and Preserve, one of the most popular attractions in the region and home to Mount McKinley, the largest peak in North America. The park spans six million acres of pristine wilderness with abundant wildlife, including moose, brown bears, caribou and wolves. Stay the night at the Denali Princess Wilderness Lodge, located one mile from the park’s entrance. The property boasts stunning views of the park and Nenana River from its expansive deck, as well as outdoor hot tubs for a relaxing soak after a long day of exploring. Make your way to the Denali National Park Visitors Center at the park entrance to learn about the numerous adventures and learning opportunities at the park; some of our favorites are the Tundra Wilderness Tour, hiking, river rafting and scenic flightseeing tours. Mt. McKinley Princess Wilderness Lodge – About two hours south of the national park near the Chulitna River, Mt. McKinley Princess Wilderness Lodge in Denali State Park is the perfect pit stop to enjoy additional views of Mount McKinley and relax for the day. If you’re looking for that up-close-and-personal experience with ”The Great One,” a flightseeing tour is a must. Stop by the lodge tour desk to inquire about nearby operators in Talkeetna – many even include landing and walking on a glacier, depending on the time of your visit. If heights aren’t your thing but you’re looking for some exhilaration, Mahay’s Jet Boat Adventure Tours offers three different tours as well as custom trips. Kenai Princess Wilderness Lodge – Continue driving a little more than two hours south on the Parks and Glenn highways to reach Anchorage, Alaska’s largest city. Choose to overnight or explore some of Anchorage’s many activities, including hiking the nearby Flattop Mountain, biking the Tony Knowles Coastal Trail or venturing downtown to peruse some of the local shops. Head south of Anchorage on the Seward Highway and continue along the Sterling Highway for two hours to reach Cooper Landing, a small town popular for sportfishing tours along the world-famous Kenai River. Here, the Kenai Princess Wilderness Lodge is the perfect jumping-off point for adventures in and around the Kenai Peninsula. Head south to Seward or Homer to reel in prize-winning halibut or salmon, explore the Alaska SeaLife Center or stroll the Homer Spit. The lodge tour desk is staffed with knowledgeable guides to ensure a one-in-a-lifetime experience. 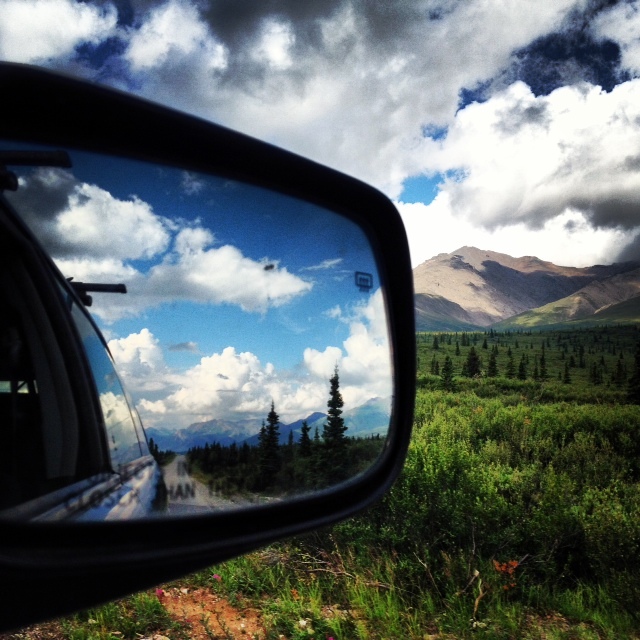 As you make the return trip north, consider heading four hours east of Anchorage on the Glenn Highway to the Copper River Princess Wilderness Lodge. Located on 200 acres at the junction of the Klutina and Copper rivers, the lodge is the gateway to Wrangell-St. Elias National Park and Preserve, one of the most spectacular scenic destinations in the state and the largest national park in the country!